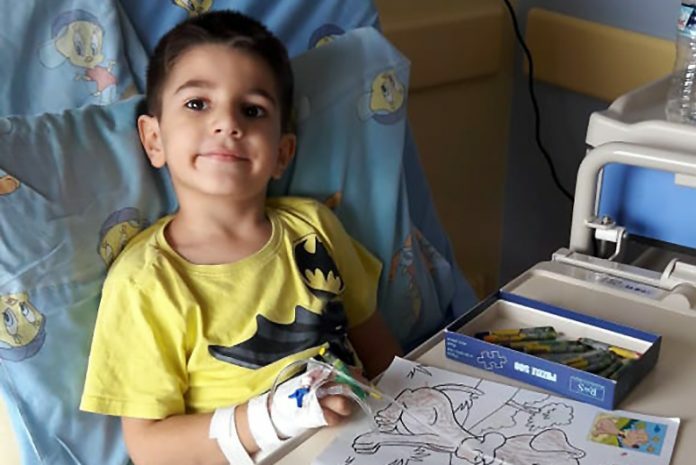 A fundraising campaign has been launched for Nail Koçal, a 5-year-old kid who, along with his mother, crossed into Greece in order to escape an ongoing purge in Turkey. Nail’s parents are accused of having ties to the Gulen group, which is accused by the Turkish government of masterminding a coup attempt in 2016. Nail’s father reportedly fled to Germany in the aftermath of the July 15, 2016 failed coup while his wife Birgül, Nail and his sister had to stay in Turkey for some time. Mother Koçal had reportedly spent some time in pre-trial detention along with Nail, 4 years old back then, before they ultimately fled to Greece. Thousands of people have fled Turkey due to a massive witch-hunt launched by the Justice and Development Party (AK Party) government against true or alleged followers of the Gülen movement in the wake of a failed coup attempt on July 15.